Climatologist Pat Michaels on “Life, Liberty, and Levin” | Watts Up With That? Sunday night former Virginia State Climatologist and Cato Institute scholar Pat Michaels was featured on Fox’s “Life, Liberty & Levin”, Mark Levin’s one-hour in depth interview program. For those not familiar, this is not the Mark Levin you hear on the radio. He’s quiet and questions his guests with great depth, and they are encouraged to give answers of similar depth. The first segment subject was Michaels’ “Lukewarm” synthesis of climate change, with special attention to the spectacular disconnect between forecast and observed upper tropical tropospheric temperatures as documented by University of Alabama’s John Christy. Michaels believes it is in part because the models are “tuned” to relate the warming of the early 20th century to carbon dioxide and other anthropo-generated emissions. He points out that when it began, the concentration was a mere twenty parts per million above the background, and that tuning them to predict the nearly 0.5°C warming from 1910 to 1945 almost certainly predisposes them to be overly sensitive. Levin then asked Michaels for his views on the larger federalization of science, and how the political process can color the scientific literature. You could see where it was headed, when he noted that the aforementioned model disparity was enough to justify voiding EPA’s 2009 Endangerment Finding. Just to make sure viewers got the point, he finished the interview with a repetition. This may be the first long-format climate interview that wasn’t cut into disjointed sound bites. It’s wide- ranging and really worth a look. Mark Levin did a thorough job. October 23, 2018 in Climate News. ← Why do Climate Advocates Sometimes Misrepresent What Skeptics Believe? Excellent and well worth watching. A couple of moments I though he went slightly off base but overall he sounded very sane. Nice to have this interview in full but at 40 minutes long I want to be able to play it at a higher speed (times 1.5 works well for most speech). Cannot find this player option on the JW Player hosting this presentation. 21:21 The roots of political correctness, they are many manifold and varied but one of them was certainly the enslavement of the Academy. Jordan Peterson has something to say on this point too. 28:49 We should celebrate the producers of energy, it is energy that drives the technology that has doubled our life expectancy in the last 100 years. (Amen to that). 34:40 The future belongs to the efficient, well welcome to the United States. “Believe in” is one of the most pernicious and lazy concepts ever devised. I met Pat Michaels many years ago, and I strongly support him. He is honest and highly competent. If we eliminate fossil fuels, most people in the developed world would freeze and starve to death within months. This means you and your family. It IS that simple! See our statement below, published in 2002. Told you so, 16 years ago. PEGG, reprinted in edited form at their request by several other professional journals, THE GLOBE AND MAIL and LA PRESSE in translation, by Baliunas, Patterson and MacRae. I watched the entire interview. Mark Levin’s quotation from Ayn Rand that Totalitarians’ deluded expectations of abundance, prosperity, and equality as a result of collectivism being falsified in the past transformed into the denunciation and prosecution of those that create wealth, abundance and prosperity in the present free market highlighted for me the prescience of the Libertarian author regarding the cammelion like nature of Leftist attacks and the wide ranging literary background of the host to ask good leading questions for discussion with his guest. PM came across as very credible scientific critic and skeptic of AGW and CCC though he never used those terms to describe his position. I considered the interview a good introduction and explanation of the shared scientific flaws, parameterization and fudging of the GCM’s fitted to the rise in in Temperatures and CO2 in the 1975-90’s leading to their gross over estimation of climate sensitivity and failure to predict the pause in GT from 1998-2016. PM also explained How those same flawed GCM are commonly used and promoted by the UNIPCC’s attempt to create a worldwide government policy on AGW and CCC and by the EPA during the BO administration as the basis for the Endangerment Finding and law suits to regulate atmospheric CO2 concentrations as a pollutant. PM’s historical review of the Federalization of Big Science in Universities, starting with FDR and MIT’s Vannevar Bush’s paper “The Never Ending Frontier” during WWII explained how that beginning led to the latter “enslavement” of scientists to do funded research that fulfilled a political agenda, stifling innovation and alternative research ideas while funding university administration overhead for Liberal Arts Departments. The history explained the current academic shift toward the PC and away from an unbiased search for empirical truth. Take your time, listen and appreciate just how well Pat Michaels understands the full ‘picture’ of this issue. As highly regarded I held Pat before, he managed to ascend further as a result of this interview. And yes, well done too to the interviewer, Levin. Michaels and Levin goes so well in tandem here, so it must make believers think twice, if it would be possible to make them view this interview. A transcript of this interview could maybe be beneficial to lay beside the IPCC report for policy makers, just as judge in England demanded a correctional paper being submitted alongside Al Gore’s 2006 film. Hey, I’d settle for making them think once. Select any of the items. “The international response to climate change: A history” which includes the “Berlin Mandate”. BBC take a note, not that the BBC journalists would be allowed to talk to Dr. Michaels after taxpayers financed corporation’s latest Stalinist decree. Pat Michaels came across very well here I thought, although personally I would have preferred to see some more rigorous examination of his answers. Levin seemed all too eager to ask softball questions and accept the first reply given. Maybe that’s how all his interviews are? It rubs me up the wrong way when the BBC do this with consensus scientists and green ‘activists’. Just a view from across the water. I was impressed that Levin raised an extensive quote on the philosophical aspect of it all from Ayn Rand’s “Return of the primitive” (by the way, it is an expanded edition of a book with a former title “The New Left: The Anti Industrial Revolution”), where she examined the roots of the green ecological movement. PM briefly confirmed but then went on, perhaps thinking that discussing Ayn Rand’s analysis would be too controversial for a general appreciation by the public? Anyway, there are a lot of recommendable gems in that book which you may find very applicable to this day and age, such as “Global Balkanization”. And of course the title essay “The anti-industrial revolution” written in 1971. Between the models and model runs with adjusted parameters there are over a hundred mainstream climate projections. At most a few percent are correct. Imagine a doctor prescribing a medicine where 97 out of one hundred ingredients are known to be wrong, a large number actually bad and every single one hideously expensive. No imagine the government forcing you to take this concoction. No need to imagine. Statins are the most profitable drug ever conceived and deliver no benefits, but induce considerable problems when taken. watched the show and thought it was the best media hour of the week by far. Levin and Michaels were excellent. It was a rather good interview, despite Levin not knowing much (apparently) about the controversies. Great job by Dr. Michaels to put the controversy in understandable terms. Levin on radio is a totally different critter from Levin in a sit-down interview format. Like both, really like my undocumented radio guest host. This was a good interview to show people who are not really sure one way or the other, get them thinking in directions other than what “media” is shoving on the world. Environistas will simply refuse delivery, go smash some windows and burn cars, their usual response to anyone questioning their religion. I think Dr. Michaels is a bit behind the times. The attribution of 1/2 the warming since 1950 to humans is falsified by the data showing no warming. I watched the interview and was pleasantly surprised since you don’t see MSM actually doing much investigative journalism on AGW, except for the catastrophe part every time there is a weather event. CNN or MSNBC would never touch this subject with a 10 foot pole but FOX does, which is why it has now become the mainstream network. I just can’t stomach much of any MSM anymore which I see many people are now abandoning in droves because of biased reporting. Would be really nice to see more of Dr. Michaels here at WUWT, which is now in its own right a major force on the side of truthful enquiry into climate science. 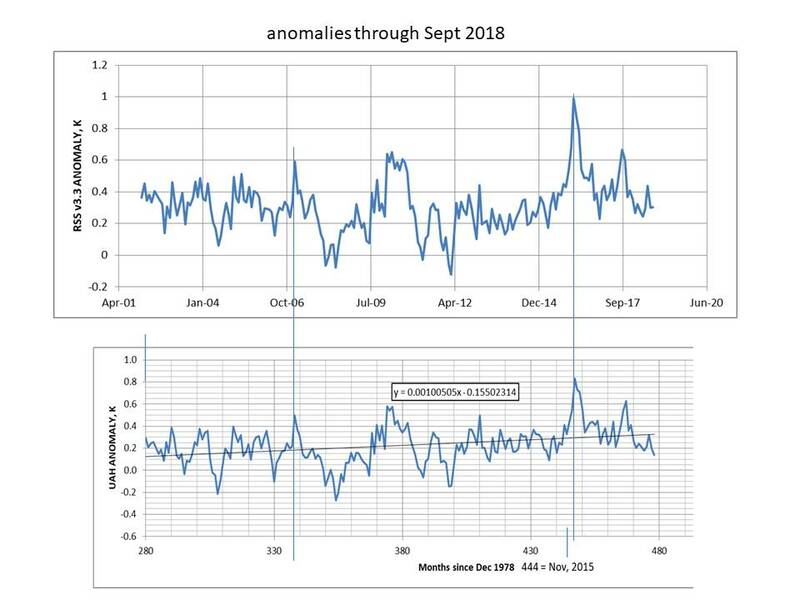 When there is a critical mass of credible climate scientists here saying that something is wrong with mainstream 97% peer reviewed climate science, then I think the present cabal of climate science will be forced into a truthful enquiry and reporting. E2 honest debate is critical, but when any person depends on someone to pay their salary, it is extremely difficult to say the Emperor has no clothes, or that 150 Billion of remediation is worthless. Finding honest individuals willing to risk their lives, honor and fortunes has always been tough. With Fox and Daily Caller the new MSM in the US is looking good. PM Trudeau is talking about climate change. He mixes weather for climate. It is such a shock to me to have a leader who I have to say is a child, not an adult. Maybe he smoke too much weed? Maybe he actually believes Butts, his soul mate who ruined Ontario’s electrical rates. The good news is that his carbon tax should cause him to lose the election next fall. Yes, I hope you are correct about the election next year. Another 4 years of this and there will be serious damage to the economy. Too bad Brad Wall wasn’t the leader of the Opposition and then it would be all over for Justinian and Co. The sad thing was he referred to Carbon and CO2 as pollution about 100 times. If they teach that in school that CO2 is a pollution, then all of life at every level is polluted. If they can’t even get their metaphors correct, then what hope is there that they get the science right? There is no hope unless JT is sent packing. Several generations of Canadians are hopelessly brainwashed. It’s hard to believe we Canadians built the worlds finest reactor, tha CANDU, and that we had a rocket program out of Churchill. Our ability to design fighter aircraft was top notch, as was our Blackberry and Nortel. Boy, have we slipped! We adult Canadians haven’t slipped Ed, except when a minority of us voted a pea-brained child into office as Prime Minister. As opposed to the insect aircraft from the mother company in the Mother Country, which included arguably the most versatile military aircraft of all time, the wood for which came from the Great White North. Who knew that rain forest and taiga would become strategic resources in WW II? With regret, I disagree with Dr. Michaels’ conclusion that half the warming since the end of the LIA could be caused by humans. Over half of that warming occurred before CO2 took off after WW II, and at least some of the warming since then has to have been natural, ie not forced by human activities. Cleaner air over Western Europe and North America after the ’70s and in Eastern Europe after the ’90s contributed to warming, but then dirtier air over China and India have partly cancelled that out. Humans have also caused local and regional warming, but the global effect is negligible at best. Earth cooled for the first 32 years after 1945, despite rising CO2, until the PDO flip of 1976/77. I explicitly said that the 1910-45 warming could have little if anything to do with carbon dioxide and other human emissions. It’s in the first segment, and also repeated later. I heard and saw you say that. My point was that, given that correct statement, then how can people be responsible for half of all warming since c. AD 1850? That would mean we are responsible for all or almost all of the late 20th century warming. Which I don’t think is the case. You haven’t missed a thing! All the GCMs are tuned to mimic ALL of the post 1850 surface warming, which includes 1910-45 and 1976-2003 (or so). IMHO that’ the fundamental reason their sensitivity is obviously too high! Thanks for that trenchant and telling observation. Truth will prevail and the scientific method will be restored. But not until after vast sums more are squandered, sacrificed on the altar of the false god CACA. Pick a plant from A to Z and see how it responded to enriched CO2 levels………thousands of studies are extremely compelling. What else has been going up fast, with a similar slope to the uptrend? Watched it . . . . twice. Blaming half of warming on CO2 is being refuted. 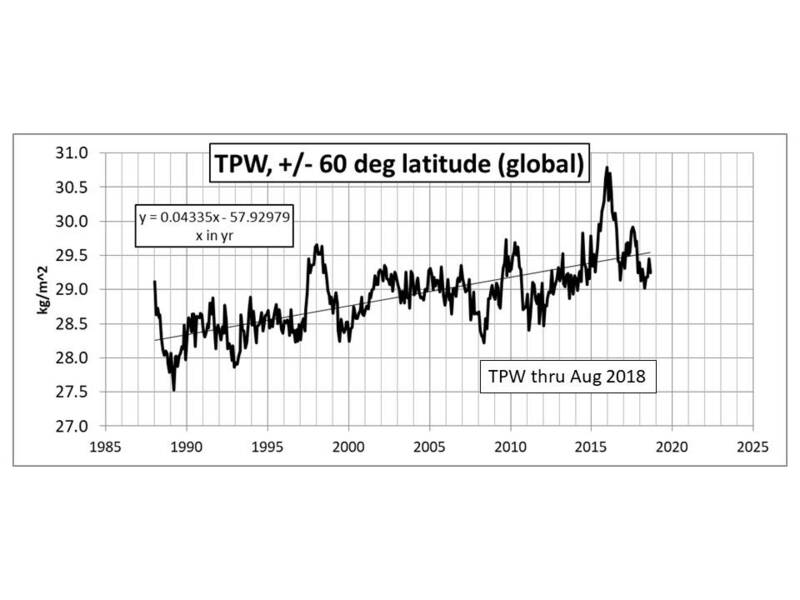 Satellite measures of temperature (lower atmosphere but surface measurements are corroborative) are about what they were in 2002 https://pbs.twimg.com/media/Dp50wMHU4AAl6J2.jpg while CO2 has increased by 40% of the increase 1800 to 2002. Pat Michaels is a gifted/charismatic, very credible communicator who provides an endless supply of facts based on authentic science which the average person can understand…..and that contradict much of the mainstream, sensationalized catastrophic climate change narrative. Definitely an enjoyable chat. The interviewer not being a typical modern shouty type was most refreshing. And “every garden party needs a skunk” was a new one for me, not having grown up in places with skunks. It agrees reasonably well with RSS to 2020. For some reason it does not have the high temperature in 1998. The CSIRO model certainly captures ENSO better but actual trends are close. INM-CM4 has a higher ocean heat capacity than the others. Methinks it minimizes greenhouse forcing as well as the near-surface forcing of El Nino (presuming El Nino is driven by weakening/reversing trade winds). The rumor mill has it that INM-CM5 is about to be published in full (it has been in part) and that Volodin is tired of being yelled at, so it will be more quickly warmer. Whereupon policymakers should decamp to Lewis and Curry and Christy and McNider. Those work. I find the comments above on “tuning” of computer models very revealing. It appears that someone has not understood a true model, and using free undefined parameters to match data, is not a valid technique! Such a program is not a model, it has no possibility of making valid results outside its input data range, and therefore cannot be used for any kind of prediction, if you like it is just some arbitrary method of matching an equation to known data! I know that supposed science has reached a very low level of honesty, but this is ridiculous! Criticism should be heaped on such supposedly “mathematical” techniques, and they are completely invalid by definition, as can be instantly shown by moving the date range to be simulated to some pre-history date, providing the starting point data, an observing the result to the current date, or another known point. A true model requires that the underlying mechanisms at work are fully understood, and accurately measured to provide their exact operational equation. Using weather prediction programs shows this working fairly well until the “chaotic” parts of the process (which we don’t know how to model well) start to produce arbitrary results, which are not much use to us. It would seem to me that there is no known processes in a climate model which have been accurately measured by experiment (I will point to the operation of real greenhouses as a starting point, which these guys have never understood because the text books are nonsense! ), and that obvious constituents of the atmosphere such as water vapour are ignored, because they do not fit the preconceived politics of the alleged modelling! I wish that this line had been followed inn the interview, it would have confirmed to rather soft conclusions! Among the greatest of living real climate scientists, ie climatologists.